I was entranced by the sea otters (Enhydra lutris) I saw on my recent visit to the California coast, and looked up some facts about them. One thing that astonished me was the almost unbelievable thickness of their fur. In a 2010 paper, researchers compared the hair densities of Eurasian otters and sea otters. They found that Eurasian otters have up to 80,000 hairs per square centimetre of skin, while sea otters have an astonishing 140,000 hairs per sq cm. By comparison, Arctic foxes and chinchillas both have 20,000 hairs per sq cm, and a muskox has just 420 per sq cm. Clearly, the sea otter is the furriest creature on Earth. Sea otters have the densest fur of any mammal. Hair density varies dramatically with location on the body, ranging from about 26,000 to 165,000 hairs per square centimeter (170,000-1,062,000 per square inch). Imagine that! I can’t even conceive of it: imagine taking one square inch of sea otter skin and counting a million hairs! In comparison, Leaf notes that the average human has 2,200 hairs per square inch, or 100,000 on the entire head. That’s just 1/10 the number of hairs on one square inch of an otter’s body, so that otters have a hair density about 450 times that of humans. Of course, the otters need them because they inhabit cold waters and rarely leave the ocean; the fur is for insulation. 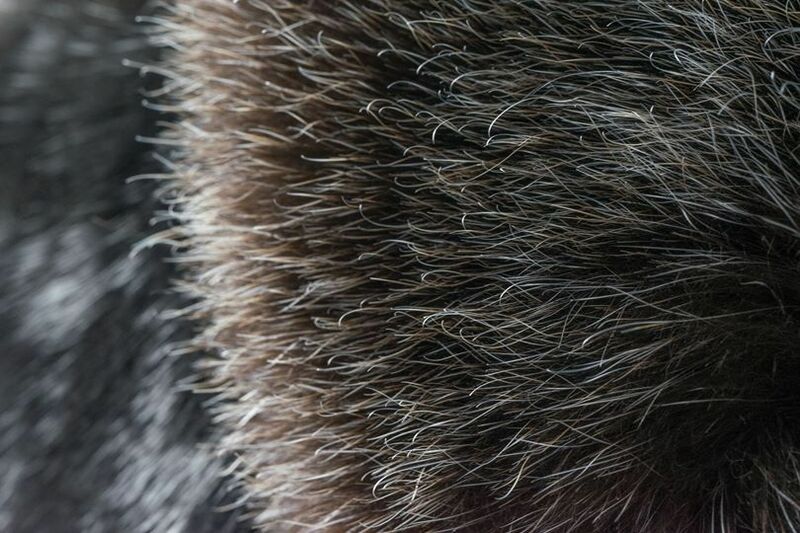 The density of those hairs is also responsible for the near-extermination of sea otters for their fur, which took the population down to between 1000 and 2000 individuals in the early 1900s. Now, thanks to conservation, the species is up to about 100,000 individuals compared to the historical estimate of 150,000-300,000. They’re still classified as endangered, though. This entry was written by whyevolutionistrue and posted on January 24, 2019 at 2:15 pm and filed under mammals. Bookmark the permalink. Follow any comments here with the RSS feed for this post. Both comments and trackbacks are currently closed. Not only the furriest, perhaps the cutest. I guess cuteness didn’t count for much when their pelts were so valuable. Surely a Just God (a friend of the Oh God, of hangovers?) would have completed the hat trick and made them tasty too? Is the hair long enough to shear them, like sheep? I’m sure someone has tried. Probably after trying cockroach milking. Unlike most marine mammals, Sea Otters don’t have blubber. So they really need that thick fur. It also means they must eat a LOT, diving and munching almost constantly with very cute floating naps in between their many meals. I had wondered about the blubber. (Or as it turns out lack of.) Interesting. Help! Was there no Hili dialogue today? I can’t find it, and my morning coffee just didn’t taste the same! Wonder what Ronald Reagan’s hair count was. Never cared much personally for the Gipper’s presidenting (though compared to what we’ve got now, he seems like Pericles in the Golden Age of Athenian democracy), but the son-of-a-gun had a helluva head of hair right through into his dotage, gotta grant him that. I’m gonna guess somewhere south of a sea otter but north of a chinchilla, though don’t cite me as an authoritative source on that. Gotta say that you’re one of the most colorful and intelligent commenters around, and we’re lucky to have you. You got that right. I’d like to see his music collection too. 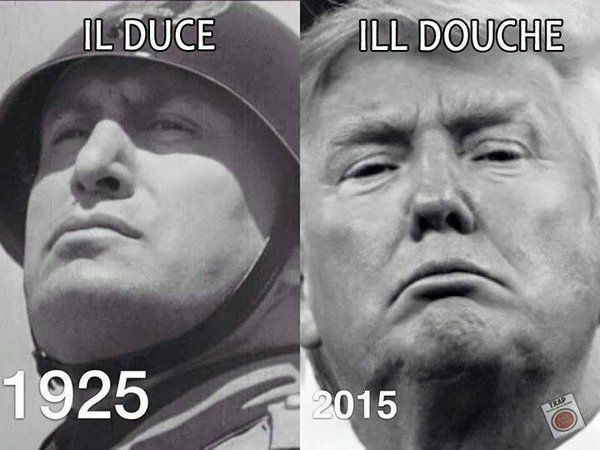 Jeez, it just dawned on me that if he shaved his head he would look like Benito Mussolini. I can see that a helmet would come in handy for tRump. The operative term is “sparse”. I adore sea otters – they’re in my previously mentioned top ten of all animals. I wish we had them in NZ. Definitely way up on cuteness, but not quite so much when they are in the middle of dismantling a crab. Oh, and I think the dense fur my trap air that helps them float without the need to swim constantly. This is particularly so for the pups whose coat traps so much air they are essentially unsinkable. This enables the mothers to leave the pups bobbing on the surface while they dive to forage. Umm. . . did you copy the post of Joe Dickinson above? I suppose that there is a unit of measurement for insulation strength but an’t think of what it is. I wonder how a sea otters fur compares to a penguins feathers. While the fur density of sea otters is mindblowing, trust me when I say a chinchilla’s paltry 20,000 per sq cm is plenty impressive when they shed all over your house! Adorable , I love how they care for each other.